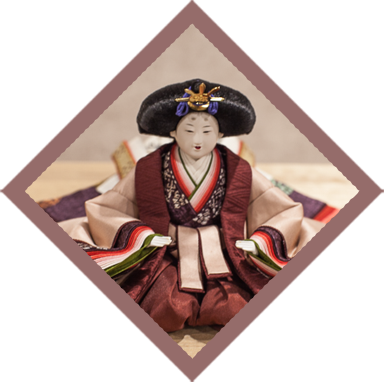 Comfort people’s heart with my Japanese dolls. That’s my great wish. TAKAO KOSAHATA creates a new age of “Interior Decoration Art”. 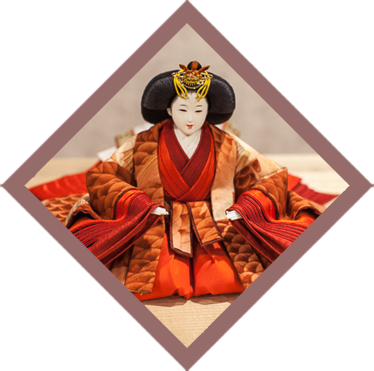 Inheriting the technique and tradition of craftsmanship of Japanese dolls called “Katsurabina”, he has carefully maintained the traditional beauty of Japan thoroughly, and elevated HINA dolls up to works of art. 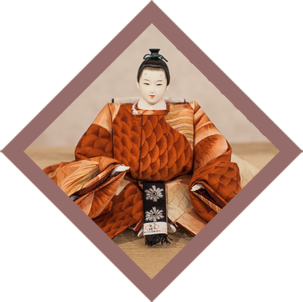 TAKAO KOSAHATA becomes your exclusive concierge to express your story by his extreme sensitivity of superimposed kimonos called “Kasane”, combined with the rich designs of ancient patterns. 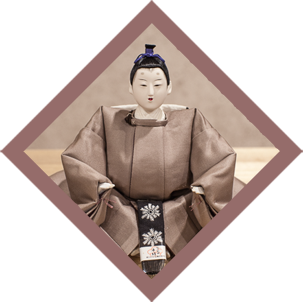 The art doll lines with your thoughts and becomes an interior decoration art along with your feelings. The colours. By using Japanese traditional colours, he expresses people’s emotions with a refined and extraordinary elegance. The shape. The face with dignity and even the fingertips are finely created. Its beauty reflects people’s feelings like a mirror will ease the admirers’ minds. The Patterns. The beauty of ancient patterns has a power to capture the moment of season, feeling and sound. The richness of this culture has been revealed in harmony with the tradition and the modern aesthetic sense. TAKAO KOSAHATA BESPOKE is created with the reflection of modern life style. 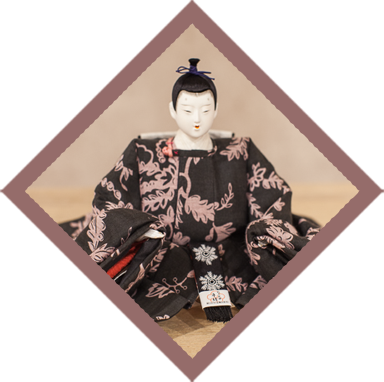 The dolls recall the Japanese traditional sense of beauty and enrich people’s lives. Using his own stole of Dries Van Noten, he matched it with the colour variation inspired by the Japanese ink drawing to express gratitude to all those who had encouraged him to realise his dreams. He intentionally made it without the fisheyes while utilising daring patterns and vermillion colour which are said to exorcise evil spirits. This bold design expresses his emotional encounter with Yuzen which symbolises excellence of the beauty of the lining. It is a geometric design of fan-like waves. He expressed his wish for a peaceful life like gentle ocean waves which continue eternally. 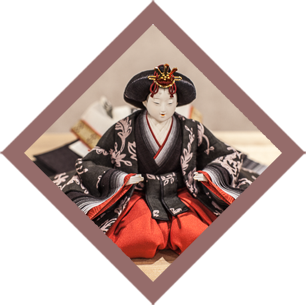 “SEKKA” is one of TAKAO KOSAHATA’s brands created with a premium silk fabric called “Yuki-Tsumugi”, especially made for him with unique colours and designs. While respecting the traditions, extremely modern creatures have become works of art that are recognised in many countries.